Thermopens are surface temperature indicating crayons. 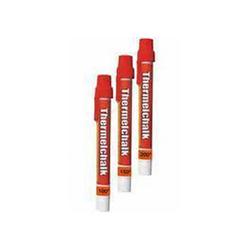 Thermopens indicate surface temperature by changing from a chalk mark into a liquid smear. Remove cap from plastic holder. Push Thermopen slightly out of the holder and retighten with cap. 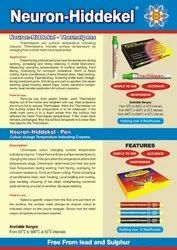 Peel protective aluminum foil to expose Thermopen. With the help of adroit professionals, we have been capable to offer our consumers the best quality range of Thermo Chalks that is enormously employed in the market.